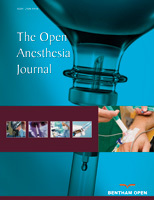 This brief review of the Ventrain ventilation system summarizes the main clinical and technical aspects of the device, with special emphasis on its role in the “Cannot Intubate, Cannot Oxygenate“ situation and in surgery involving the airway. Animal and bench studies characterizing the performance of the device, which is based on Bernoulli's Principle, are also discussed. It is concluded that as clinical experience is accumulated that this new device will play a special role in clinical airway management. Keywords: Ventrain, Jet ventilation, Transtracheal jet ventilation, Cannot Intubate, Cannot Oxygenate, Emergency airway management. © 2018 D. John Doyle.